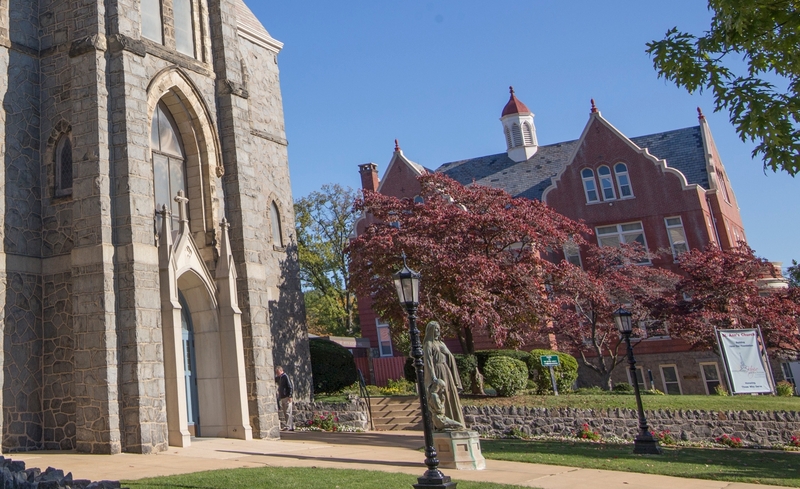 For more than a century, the people of St. Ann’s have worked together to build a school that is faith-based, academically intensive and socially and spiritually enriching. Read below to find out how the St. Ann’s School community began and how it has evolved. 1868 - St. Ann’s Church was established to meet the religious needs of the Catholic community in Wilmington’s Highlands and Forty Acres neighborhoods. Originally, the church was named the Parish of St. James because it was established on the Feast of St. James. Not only did we have a different name, but also a different location on Lovering Avenue. 1887 - The B&O Railroad came to Wilmington and ran so close to the church that the church was forced to relocate. Vicar General, Very Reverend John Lyon's funded the relocation of the church to its current location at Gilpin Ave. and Union St. Father Lyon's generous contribution was commemorated by renaming the parish after his mother, Ann – also the name of the mother of Mary, Mother of God. 1898 - The Franciscan Sisters founded St. Ann School. There was one class for each grade from first through eighth grades and the Sisters staffed the entire school. Fittingly, St. Ann’s built a new convent in 1910 to house the Sisters. 1969 - Monsignor John Corrigan led the development of a new gymnasium and Social Hall. 1995 – St. Ann’s added more classrooms and meeting space. Over the years, St. Ann’s has blended the best elements of the past with those of the present day. This is evident in the architecture, curriculum and social fabric of the parish and school. While the Franciscan Sisters are no longer at St. Ann’s, the Catholic faith and traditions are still at the core of our curriculum. St. Ann’s still has one class for each grade as it did in 1898, but the school has added both Kindergarten and Pre-Kindergarten 3 & 4 programs. Additionally, SMART Boards replaced blackboards and Spanish, Music and Art are part of the core curriculum. Before-Care, After-Care and athletic programs that include basketball, volleyball and tennis and more keep the St. Ann’s campus bustling from early morning until evening. Since 1887, St. Ann’s Church has anchored the corner of Gilpin and Union Streets. Beyond that beautiful stone work is a flourishing community that extends beyond geographical boundaries. Today, St. Ann’s Parish and School serve the spiritual, educational and social needs of families throughout Delaware. In addition to the surrounding Forty Acres and Highlands neighborhoods, the parish and school community includes families from Pike Creek, Hockessin, Bear, Middletown, Greenville and North Wilmington. Join us today for a visit... you will discover how together our students, faculty and staff form a special community based on tradition!